One of the most fundamental skills a BBQ enthusiast is indirect cooking. See, simply cooking your food directly over heat isn’t going to cut it. Instead, you’re going to need to create a 2-zone setup to help you get the very most out of your grill. It doesn’t matter if you’re cooking a prime cut of brisket or a 12 pack of hot dogs, indirect grilling always has its place and is key to the success of a good bbq. Indirect grilling is a BBQ cooking technique that places food to one side on the grill, instead of being directly over the flames. This allows us to cook larger pieces of food at a more modest temperature without running the risk of it burning or drying out. 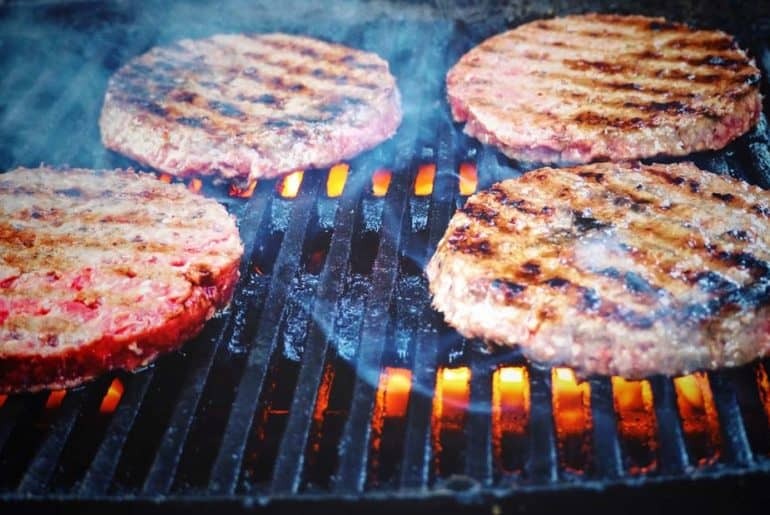 It’s an essential skill, but one that I’m going to walk you through today to help you grasp the concepts direct vs. indirect heat, as well as the importance of temperature control on a grill. To be clear, I’m walking through how to set up indirect cooking on a charcoal grill. A guide on how to apply the technique on a gas grill is in the works! 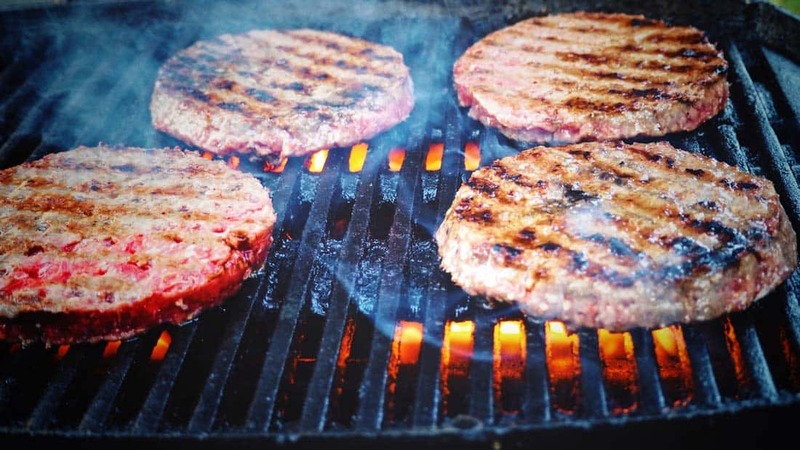 What is indirect heat on a grill? Indirect cooking is a popular barbecue technique whereby we don’t place our food directly over our heat source, but instead to one side on the grill. See, when we cook meat directly over heat for too long its proteins shrivel up, squeezing the liquids and fats out. This gives us dry, tasteless results. Indirect cooking, however, gives us a more measured means of grilling that prevents this from happening. It’s best to think of your grill as an oven. 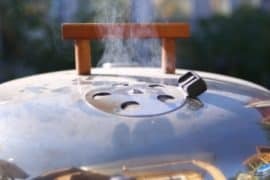 When you close the lid of your BBQ, it traps in the heat, creating an oven-like environment where we can cook food without immediately searing it. 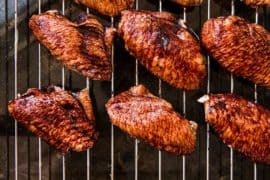 Obviously, the inner temperature of the enclosed grill isn’t as straightforward to control as with a standard oven, but the effects we can get from it are somewhat similar. While we can use it for any size of meat, it’s particularly useful for bigger and tougher cuts of meat, such as whole chicken or brisket. These kinds of food are particularly easy to burn or let dry out when cooking over a direct flame, so us being able to create a more modest temperature reduces that risk and allows for a much more effective cooking method. The results are also crazy delicious. We apply this technique by setting up our charcoal to one side in the grill, leaving a zone without a direct heat source underneath it. Why is indirect cooking important? 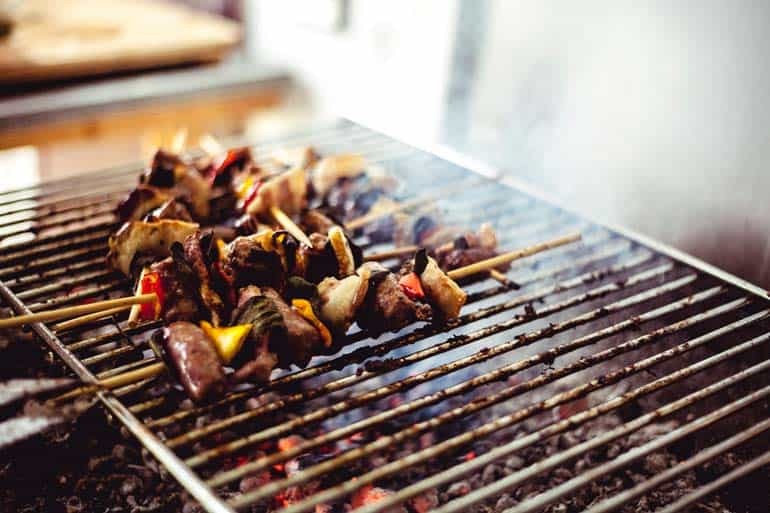 The indirect cooking technique is key to a great bbq because different compounds within the same piece of food react differently to a range of temperatures. Within a piece of meat, along with protein, we also have fat, water, and collagen. Each of these compounds reacts differently to heat. We all know that water evaporates at around 210°F/100°C. However, fat on meat tends to render at a lower temperature of about 130°F/55°C, while collagen breaks down at 160°F/70°F. Indirect grilling is the best outdoor cooking method to get larger cuts of meat cooked properly and evenly. Meats like whole chicken should be cooked this way because it helps prevent the outside of the meat burning or drying out. 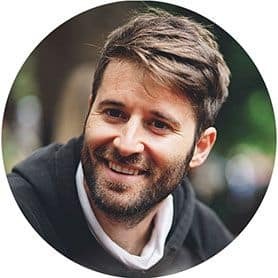 With indirect grilling it’s crucial that we create a grilling environment that we can control so that we can allow all of these processes to happen. A 2-zone environment with both direct and indirect grilling gives us this control. So in our new cooking environment we want to create 2 zones: One where we are producing direct, radiant heat; and the other where we have no heat source but allow our food to be exposed to indirect convection heat. The temperature in this zone is much more moderate than over high heat, allowing the fats and collagen to render without causing the proteins to shrivel up. We can then bring it a juicy and tender state before giving it its finish over direct high heat. The magic indirect cooking temperature that we’re going to try to aim to hit is around 225°F/110°C. In my grilling experiences, this is around the mark where a lot of meats cook well. The important thing is to try to reach this temperature without your food on the grill. Use a grill surface thermometer to measure the heat of your indirect grilling zone to ensure that you’ve hit the sweet spot before grilling. This is where I should say that it’s absolutely imperative that you get a good, reliable grill thermometer. Cheaper models can be alarmingly inaccurate so save yourself a lot of trouble by investing in something good. I recommend the ThermoPro model here (Amazon link), which also doubles up as a meat thermometer. To get going with indirect grilling on a charcoal grill, cover just half of your grill base with coals. However, be sure to create two layers of charcoal. If you’re unsure on how to light charcoal effectively, then check out my guide on how to light charcoal here. Once the coals have started to turn white and are an ash-like color then make double sure that they are all to one side. The key aim here is also to create a space that our food can cook on without any coals underneath it. Aim to leave about an inch between your food and the coals to the side. Also keep in mind that the side of the food closest to the coals will cook fastest, so be ready to rotate and flip it regularly to help it barbecue evenly. A potential way around this is to bank the coals on both sides of the grill, leaving the food in the center without coals directly underneath it. This will help even out the heat and create a better cooking environment. However, a potential problem with this is that you might be leaving your coals spread too thinly, leaving them prone to burning out quickly. Also, because you’re essentially doubling up on heat, this won’t cut it for meat that needs to be cooked at a relatively low temperature. I’d recommend experimenting with it to see if it works for you, but also only try it for food that you want to cook at or above 300°F/150°C. Here’s a rough guide to how long to cook different cuts of meat when using indirect grilling. It’s important to note that, as with any kind of grilling, you regularly check on your food. This includes rotating it when needed, as well as using a meat thermometer to monitor its internal temperature. What are your grilling tips? Let me know in the comments below!